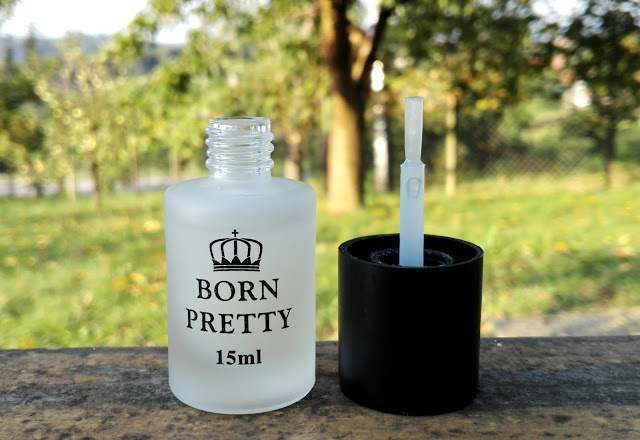 Last month I got a chance to collaborate with Born Pretty Store again. They sent me three products and today I am going to talk about their Super Matte Change Surface Glossy Oil Nail Polish. It comes in a classic round glass bottle, that is all matte. You get 15ml of product in the bottle and it costs $3.99. You can get it here. The brush is straight cut and easy to work with. The formula is nice, not too runny and not too thick. I used it over my Essence The Gel Nail Polish in 48 My Love Diary, which itself is very shiny and it worked perfectly. It made my nails perfectly matte. 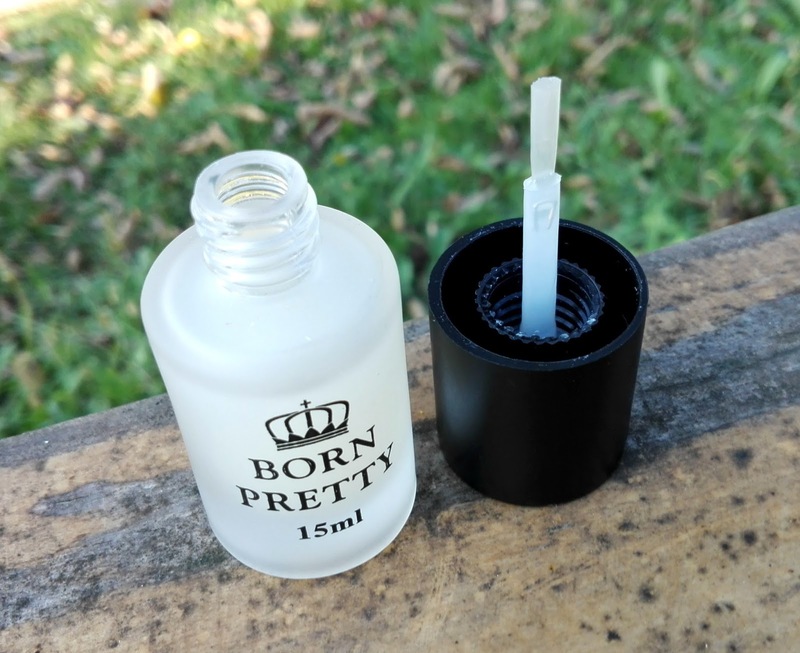 On the first picture you can see My Love Diary, on the second picture every other nail is painted with this matte top coat and on the last picture you can see the final result. I only had one problem with this top coat, it takes a long time to dry. You can see the matte effect after a couple of seconds, but to completely dry it takes over an hour, so you have to be careful what you do with your hands, so you don't get prints all over your nails. Do you prefer shiny or matte looking nails? Thank you for reading! Zdaj sem ze nekajkrat iskala tak lak v DM ali Muller ali v kateri drugi. Ko sama ne najdem, vprasam in me vcasih katera prodajalka tako zacudeno pogleda...ne ne tega pa nimamo!!!! Tako, se vedno ga iscem. 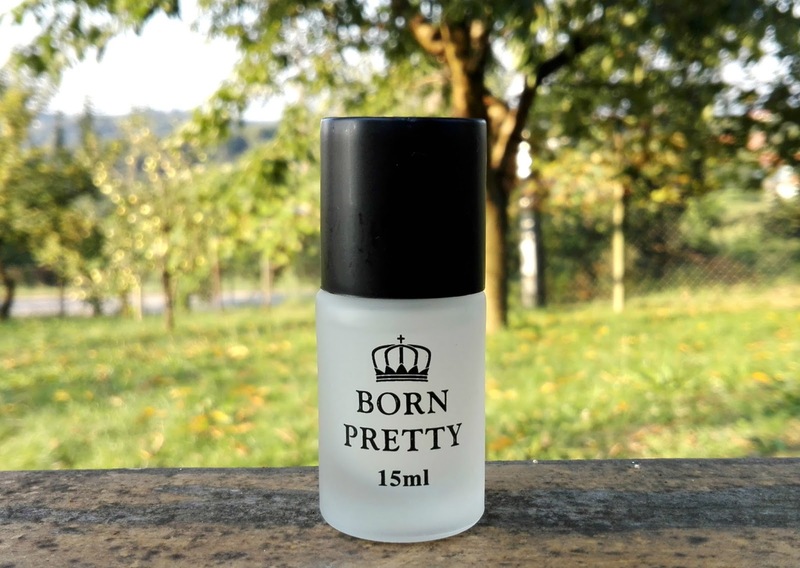 Tega sem vidla na Bornprettystore. Zdaj sem vesela, ko sem prebrala, kako se je obnesel. Super, hvala!